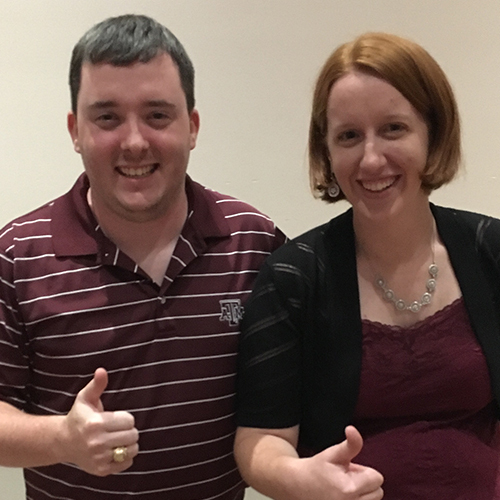 The Volunteer of the Year is awarded each year to two active members who display dedication, passion for continuing the Aggie Tradition, and leadership, within the club or in the community. The award is based solely on service, and not monetary donations, years of participation, and/or other criteria. In 2007, in recognition of the Club’s explosive growth in size and scope, the Board expanded the award, authorizing up to two recipients per year. Nominations are made each year to the Board of Directors by individuals who participated in the Club’s many activities during the preceding year. By resolution of the Board, the award cannot be given to individuals who are current officers and/or directors.